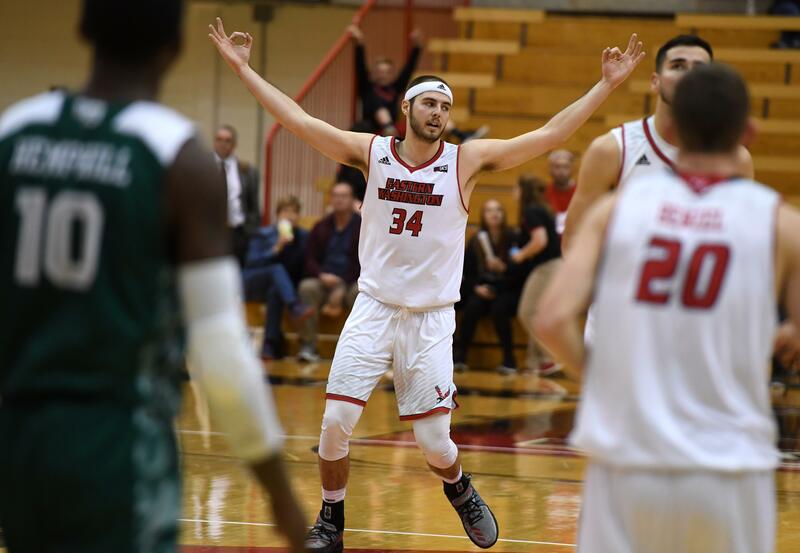 MINNEAPOLIS – Former Eastern Washington standout Jesse Hunt isn’t done representing the Big Sky Conference. Despite going 1-2 in pool play, including losses to the Ivy League and Big Ten on Saturday, the Big Sky squad will face the Metro Atlantic Athletic Conference team at 8:50 a.m. in Sunday’s knockout round of the 3X3U National Championship at the Mall of America. Hunt has scored 17 points in the tournament, while former Southern Utah guard Brandon Better leads the team with 19 points. Hunt has also grabbed 21 rebounds, the third most of any player. Games will be streamed at twitter.com/3X3UHoops. Published: April 6, 2019, 6:42 p.m.